Kentucky is a patchwork of big rivers, rolling hills, shady forests, open grass barrens, and diverse agriculture with plenty of interesting natural areas to explore. It has the largest karst region in the US, which has produced numerous caves, including the longest cave system in the world at Mammoth Cave National Park (only 1.5 hours from Louisville). In Kentucky, you are following in the footsteps of E. Lucy Braun, who exhaustively characterized Kentucky flora in the 1930s-40s, and for whom the ESA Braun Award is named. Perhaps you will be lucky enough to see one of her namesake species, the Ageratina luciae-brauniae , in flower under overhanging sandstone cliffs. If you are planning a social event (mixer, reception, business meeting) at the Annual Meeting in Louisville, request social events by Thursday, March 14 at 5:00 PM ET . Space may be limited. ESA is providing travel grants to those impacted by state travel bans to Kentucky and those who lack institutional support. Up to $30,000 from the Opportunity Fund will go toward these grants. Donate to the Opportunity Fund to help your colleagues, or apply for funding to get support. We're looking for new products, services, technologies and publishers that you want to see in Louisville! Send your ideas to Exhibit, Sponsorship, and Advertising Manager Wendy Ashburn. 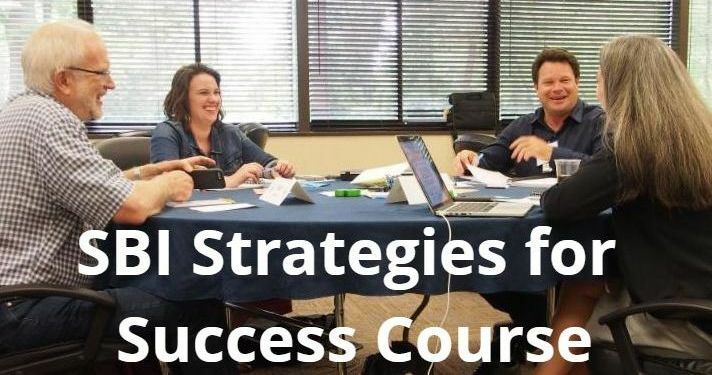 Our next SBI Strategies for Success course will be held June 12-14 at Yale University in New Haven, CT.
Can’t join us in June? Don’t worry! We will also be offering our Strategies for Success course October 15-17 in Fort Collins, CO. Discover Success; Discover SBI. Long-time ESA member Stephen C. Hart donated $50,000 to launch the Henry L. Gholz SEEDS National Field Trip Endowment —can you join him in helping ESA stimulate and nurture ecology as a career choice for hundreds of ecology students from underrepresented communities? Strategies for Ecology Education, Diversity and Sustainability ( SEEDS ) is ESA’s award-winning flagship education program, and students flock to join our chapters at colleges and universities across the country every year. SEEDS provides opportunities for underrepresented students to participate and lead in ecology by sponsoring field trips that help explore the broad range of ecology research. ﻿Help us keep SEEDS going strong in 2019 by joining Steve and making a tax-deductible donation to the Gholz Endowment ! 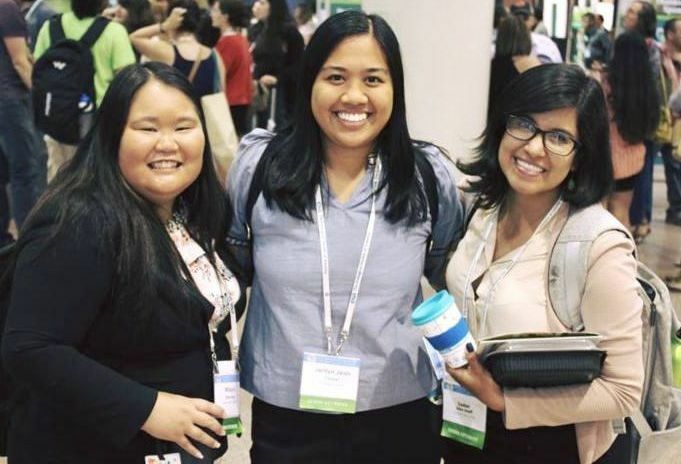 The SEEDS program is accepting applications for our fully funded Travel Awards for underrepresented undergraduates to attend the ESA Annual Meeting in Louisville, KY. Application deadline is March 25 . ﻿Visit the SEEDS website for more information. The 2019 ESA Student Awards (Murray F. Buell Award and E. Lucy Braun Award) Application is now open and is due by Thursday, April 18 at 5:00 PM Eastern (2:00 PM Pacific) . Students that have submitted an abstract for contributed orals and posters may apply. Click here for more information. Are you an ESA member that has attended previous meetings? Are you joining us at Louisville? If your both answers are YES and would like to know more about becoming a SEEDS Mentor, please visit the SEEDS Mentor page for more information. Help us guide our students through this amazing event! Theme this year is “Biology of Insects” and it is for 10 million Japanese Yen (USD 88,500). Nomination deadline is April 19 . Click for more information . The research opportunity is expected to advance the Graduate students' overall doctoral thesis while providing access to the expertise, resources, and capabilities available at the DOE laboratories/facilities. Click for more information . 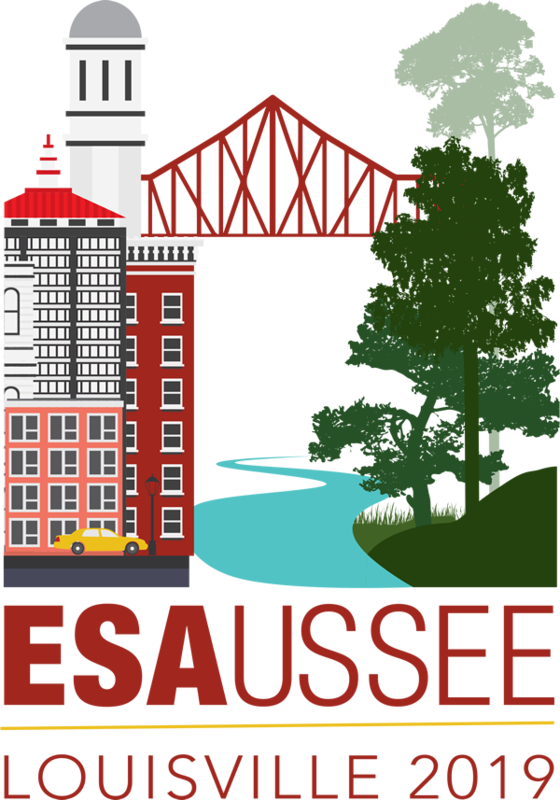 ESA has joined with other scientific societies in creating the Ethics and Equity Center . The Center will provide resources at the organization and individual levels, including free legal consultations. This biannual event, the celebration of the European ecologists' scientific achievements, is a primordial opportunity for people to meet and network. Click for more information . Download receipts under My Dues or My Events tabs. Access to journals page, use the Member Directory to find your peers, and more on the ESA Membership Portal . ECO the ESA's community portal is an agora for for ESA's members. Interact with other members of ESA or your Section/Chapter. Ecolog-L became one of the groups in ECO now, which is open to everyone. ESA is honored to announce this year’s Katherine S. McCarter Graduate Student Policy Award (GSPA) recipients. This award provides graduate students with the opportunity to receive policy and communication training in Washington, D.C. before they meet lawmakers. 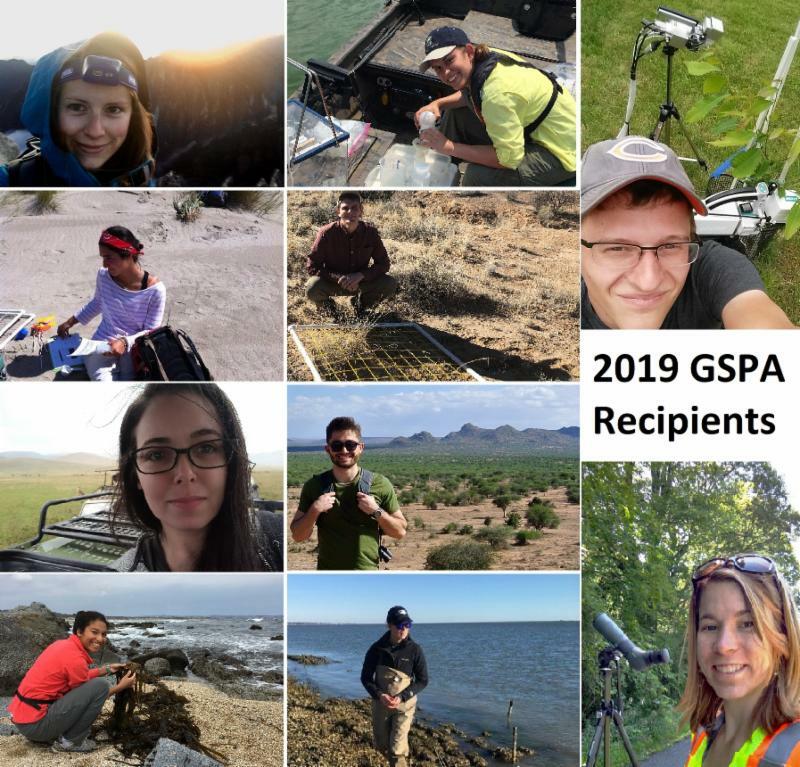 ﻿Read about the 2019 GSPA recipients on the Ecotone blog . Long-range planning grants are intended to support strategic planning within sections, chapters, and committees consistent with ESA’s 2016 Strategic Goals and 2018 Extending the Tent initiative . Up to $10,000 will be made available in long-range planning grants in this round of proposals; sections and chapters that received grants in 2018 are eligible to apply to expand on their existing projects. To learn more and understand the proposal guidelines, see the long-range planning grant overview , and get in touch with your section, chapter or committee leadership . ﻿During her tenure as ESA president, Dr. Laura Huenneke is writing a monthly column on the EcoTone blog . Tom Wentworth (NC State University) represented ESA and the Vegetation Classification Panel at the 2019 Plant Summit. 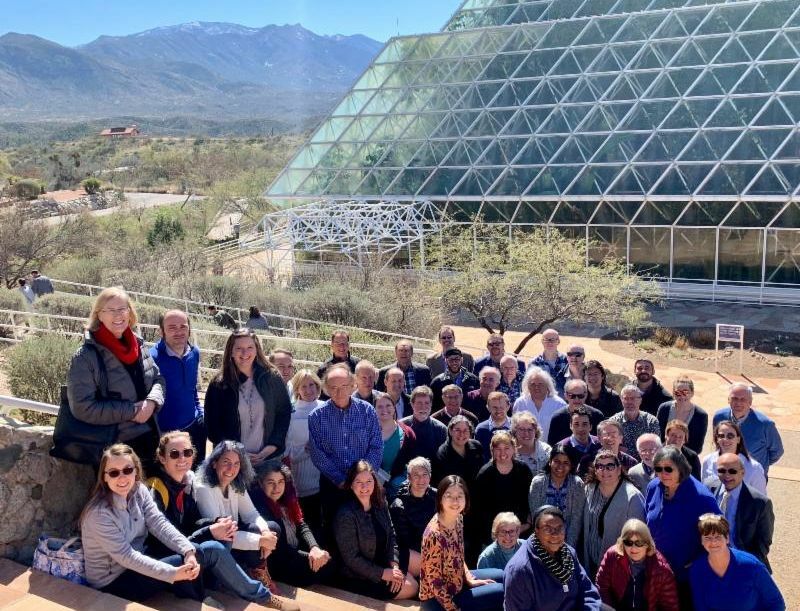 Tom’s leadership and presence at the Summit, which was held at Biosphere II in Tucson, Arizona, helped infuse biodiversity and vegetation classification into the deliberations. The summit produced a call for action to “Unite, Inspire, and Enable” the future of plant science through collaboration, education and outreach, and new technology. ESA’s headquarters staff is putting the finishing touches on a new website for the Society! The new site will boast a fresh design and a reorganization to make the information crucial to your membership easier to find and put to use. Stay tuned for more announcements as the launch date approaches. ﻿AGROECOSYSTEMS: Ecosphere is seeking submissions on Agroecosystems. This subject track is interdisciplinary and deals with the interface between agriculture and ecology. We will publish papers on all four pillars of agriculture (production, transportation, nutrition, security) as they intersect with ecological systems, including managed forests, plantations and orchards, pastures, rangelands, and croplands. A sample article on agroecosystems by Peralta et al. can be found here. 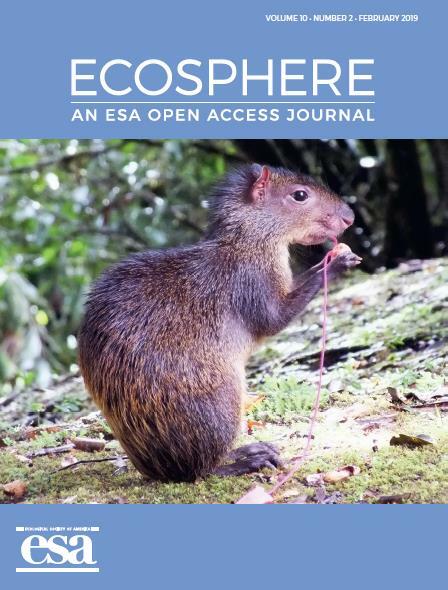 Please email Ecosphere with any questions or submit your manuscript. Questions, comments, and feedback are welcome. Contact Membership .